Acting upon that Constitutional authority, Congress created the Internal Revenue Service (IRS), and enacted a sprawling body of laws known as the Internal Revenue Code. This Internal Revenue Code (“IRC”) is codified in Title 26 of the United States Code. 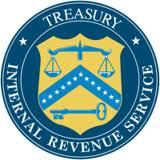 Tax crimes and offenses are defined in Chapter 75 of the Internal Revenue Code. Chapter 75 covers such offenses as tax evasion, tax fraud, and failure to pay taxes. 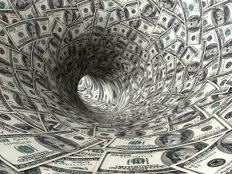 These offenses are often referred to as “white collar crimes. IRC 7203 is incredibly far-reaching because it declares that willful failure to comply with tax regulations is a felony. Regulations are not provisions passed by Congress. Rather, they are provisions adopted by the Internal Revenue Service itself. Thus, where Congress defines only a handful of acts (or omissions) that constitute tax crimes, IRS supplements it with hundreds and hundreds of regulations. Violation of any one of these IRS regulations exposes a person to a felony charge. Allan Marain and Norman Epting, Jr. are criminal tax lawyers in New Jersey. Their combined experience exceeds sixty-five years. Allan Marain has been named a “Super Lawyer” in six out of the last eight years. He is a member of the bar of the United States Tax Court. The New Jersey Supreme Court's Board on Attorney Certification has recognized Mr. Byrne as a Certified Criminal Trial Attorney. Both Mr. Byrne and Mr. Marain are licensed to practice before the Internal Revenue Service, the United States District Court for the District of New Jersey, the United States Court of Appeals for the Third Circuit, and the United States Supreme Court. Both are available to assist persons facing prosecution for crimes relating to tax activities. Page last updated 1 January 2018, and displayed Thursday 18 April 2019, at 06:40:10 EDT.